The opening rounds of the arena day for the DreamLeague Major 2019 has come and gone and while we’re still down to six teams in total, four of them will be playing with their backs against the wall starting tomorrow in the lower brackets. After our successful prediction in Day 1 where we foresaw that Vici Gaming would beat PSG.LGD in a close series, we now take a look at yet another one of their matches, only this time, the Chinese upstarts will be up against a team similar to themselves in the form of Southeast Asia’s Fnatic. Both Vici Gaming and Fnatic feature similar profiles as teams brimming with potential but have yet to really break through at any particular tournament. As these two Dota 2 teams meet against each other in the penultimate day of the DreamLeague Major 2019, we’ll try to see if we successfully predict which of them will walk away with a guaranteed top-two finish. Coincidentally enough, both Vici Gaming and Fnatic play rather similarly in that they’re neither the fastest-paced teams in the tournament (they’re right in the middle in terms of average kills and assists per game) and they’re also rather sloppy, giving up far more deaths per game more than every other team remaining in the tournament outside of Virtus.Pro. This rather tells the tale of teams who are rather undisciplined and play chaotically, and yet, they’re here, which suggests that they’re doing something that most teams aren’t, which is true. Both Fnatic and Vici Gaming are unafraid to play outside of the constraints of what’s perceived as the meta. In their respective matchups against PSG.LGD and Keen Gaming, both teams brought out picks that we haven’t really seen very often this tournament. For example, Fnatic picked Timbersaw in both games, as well as giving Abed unusual playmakers in the form of Dragon Knight and later on, Puck. The Puck pick, for example, hasn’t really been seen that often nor has it been that contested so far, but with long drawn-out teamfights seemingly in the meta, Puck’s ability to initiate and get out safely only to get back in again when necessary could prove valuable. For Vici Gaming, their Broodmother pick in Game 3 stands out the most. 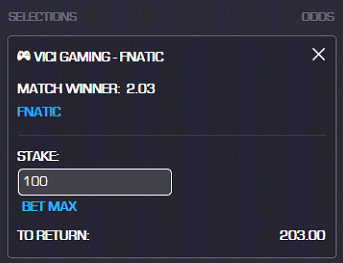 Although we sincerely doubt that Fnatic would let Vici Gaming pick the hero against them. Not only do they have the potential to pick it themselves via Abed and Iceiceice, Fnatic also have a few pocket picks up their sleeves as well and could be looking to set up for it while also denying Vici Gaming’s cheese pick potential. Both team’s young cores in Paparazi and Abed will be the main focus of this matchup, as their impact on the game will likely decide which team will go on to win. 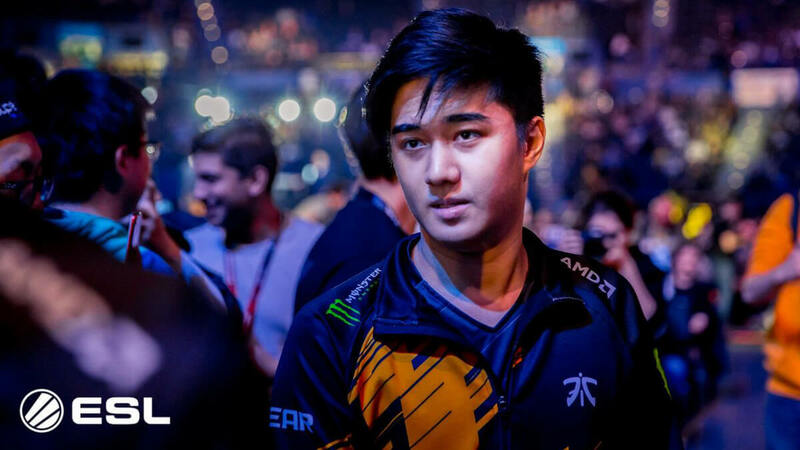 If Abed is left to his own devices in a favourable matchup in mid, winning will be all but guaranteed for Fnatic. At this point, both teams have been tested against the best that the competition has to offer and they’ve emerged victorious. What awaits now is a matchup between two Dota 2 teams that nobody really expected to make it here, but everyone always believed could have the potential to be a title contender. Look to each team’s respective offlaners to be another focal point for this matchup. Both Yang and Iceiceice are the backbones of their team, albeit, in a different manner. Whereas Yang is the more stable of the two, Iceiceice is looked at as the playmaker who wreaks havoc all over the map for his team and creates space for both MP and Abed to farm. It’s no secret that Fnatic are one of the greediest teams in Dota 2. They have players who prefer to have farm and this is evidenced by them leading the entire tournament in GPM even though none of their players are in the Top 3. And, because Vici Gaming don’t really play a particularly aggressive or fast-paced style – we saw in their series against PSG.LGD and to some extent, against Team Secret, that they’re not the type of team to assert themselves – we fear that they might just let Fnatic have their way and get the items that they need to end the game. While we seriously doubt that Vici Gaming’s coach and drafter, rOtk, would let Fnatic get the best of them in the drafting phase, it’s their inability to impose themselves on the opposing team and pressure them into playing the way that they want that could spell the end for them. For that reason, our vote goes towards Fnatic in this best-of-three series.